The Transactions of the Korean Society of Automotive Engineers (Trans. 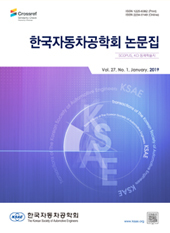 KSAE) has as its objective the publication and dissemination of ideas among researchers in different parts of the world and also among researchers who emphasize different aspects of the foundations and applications of the field. Standing as it does at the cross-roads of Physics, Chemistry, Mechanics, Engineering Design and Materials Sciences.